A Foxtail pine skeleton catches first light, while the summit of Mt. Whitney broods in the shadows above. 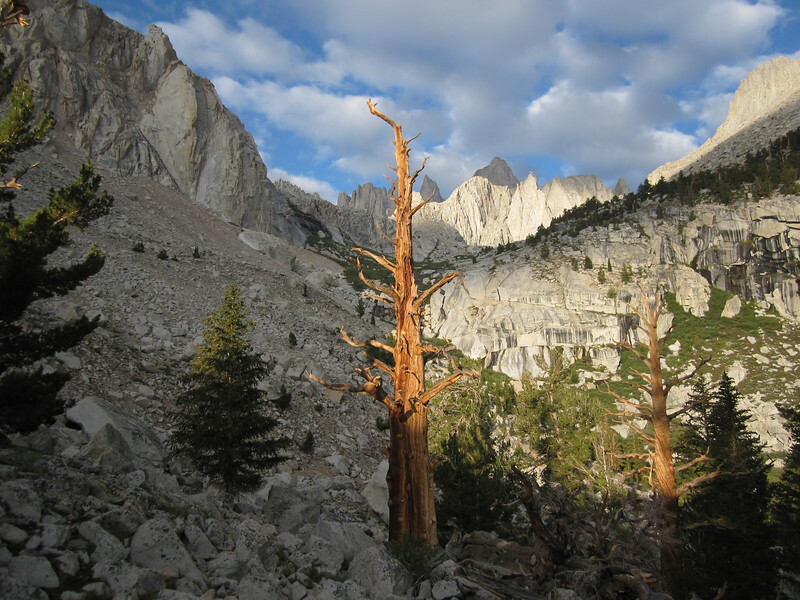 Foxtail pines are related to the ancient Bristlecone pines, and can live to about 1000 years. This was my first climbing trip to the Whitney region, and I was just blown away by all of the vertical beauty and grandeur of this place.